The world’s moving at the speed of light, hence businesses need to keep up with fast paced environments by aligning themselves with technology. It is imperative for companies to implement solutions that their business easily adapts to. SharePoint applications have now formed a core platform strategy that is web-oriented, robust, functional and highly cost efficient. Wazzam has over a decade experience pool within its SharePoint expertise that allows it to provide its customers with dynamic, potent infrastructure management solutions that are business requirement compliant. SharePoint allows businesses to achieve unified sustainable solutions that are flexible enough to integrate with different department of an organisation thus making it more management and tractable. Our SharePoint service line-up includes: Portals, Collaboration, Business Intelligence & Processes, Document Management and Content Management. This in simpler terms means smooth communication within an organisation across the board. With the advent of Web Parts, which are an essential facet of SharePoint, functionality and server-side controls have been enhanced at a significant level. Share Point Web Parts also govern content modification and page appearance. The component framework uses business related data via Public My Site Pages, the framework comprises of coordinated tasks, integrated emails, blogs, RSS feeds, instant messaging, collaborated filtering and social bookmarking. 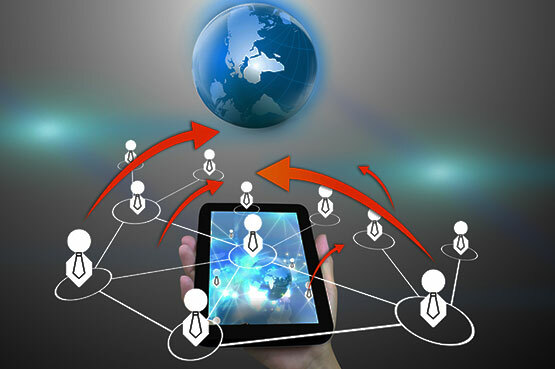 Considering the robustness of SharePoint, Wazzam can help you increase the functionality of social computing whilst inculcating better connections between individuals of similar interests. We understand your enterprise level requirements and tailor solutions that facilitate operational efficiency and drive performance.